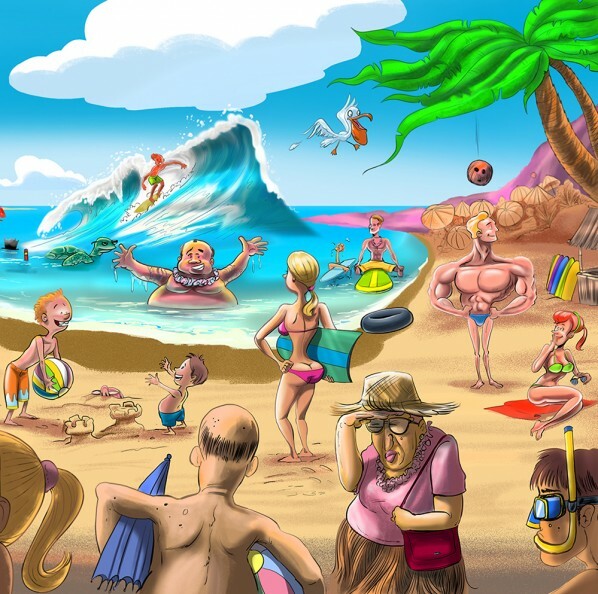 You may have noticed a few recent posts as to the progress of this Hawaiian (Tropical) Beach scene cartoon. It all started as all sketches do, but this one began as a blotter page… a place to put other doodles on… not as an illustration by itself really. As the days passed, I’d add to it bit by bit ( and not a practice I recommend by the way). 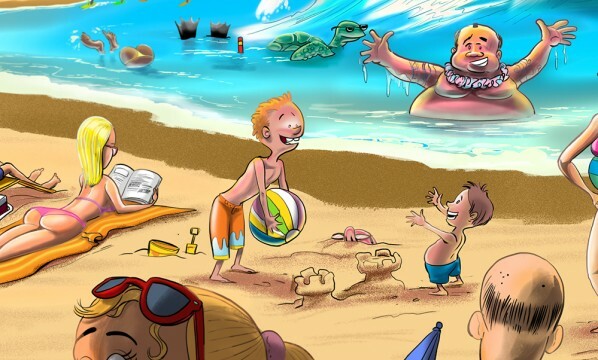 Personally, I tend to loose focus when I spend too much time on any one illustration. You’ll see random textures, different shading techniques, and line work which varies from mood to mood. 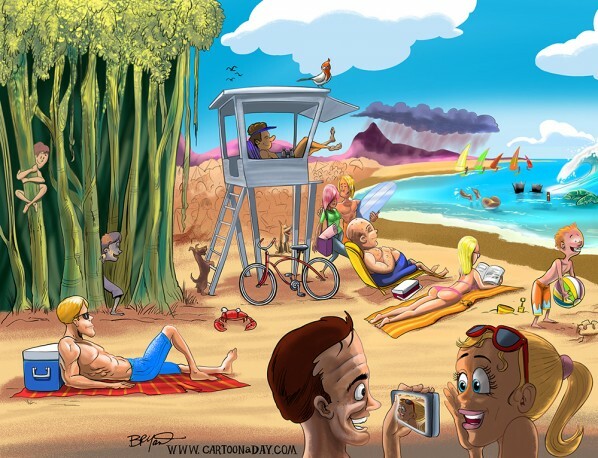 Looking at the beach scene cartoon as a whole, I could’ve redrawn it, much better, in a third of the time. But since it was JUST FOR FUN anyway, I present it here in it’s “final’ phase. The original art is 24″ x 11″ and the PSD is about 2GB.